Evris law firm has been known on the Ukrainian legal market since 2015 as a strong team of litigators and corporate lawyers with a significant international background. Through a number of reorganizations and constant search for the most effective business model, the firm has grown organically into a full-service law firm following the needs and requests of its clients. Today, Evris is a Kyiv based full-service law firm which has gathered talented and dedicated lawyers with creative thinking and a systematic approach. The company provides 360-degree legal advice on various matters related to corporate and M&A, banking and finance, tax, and dispute resolution. Our primary focus is on agriculture, real estate, energy, FinTech, and capital markets, as well as bankruptcy and debt restructuring issues. We find special interest in supporting the investment process in Ukraine for both, business and investor. The Ukrainian business community already calls us advocates of investment in Ukraine. The firm grew from 7 lawyers in 2015 to 35 in 2018, which indicates well-timed expansion of the firm’s practices and the right investment in the firm’s human potential. Evris is an efficient combination of lawyers with LL.M. diplomas, attorneys-at-law, PhDs, ex-inhouse lawyers from banks, telecom companies, energy and agriculture sectors, alumni from the Big 4. The client portfolio includes large and medium-sized national and foreign companies, banks, financial institutions, corporate and private investors who are doing business in Ukraine or entering the local market. In both established and emerging markets, the firm’s lawyers provide its clients with insights into the local business environment experience in multiple jurisdictions. 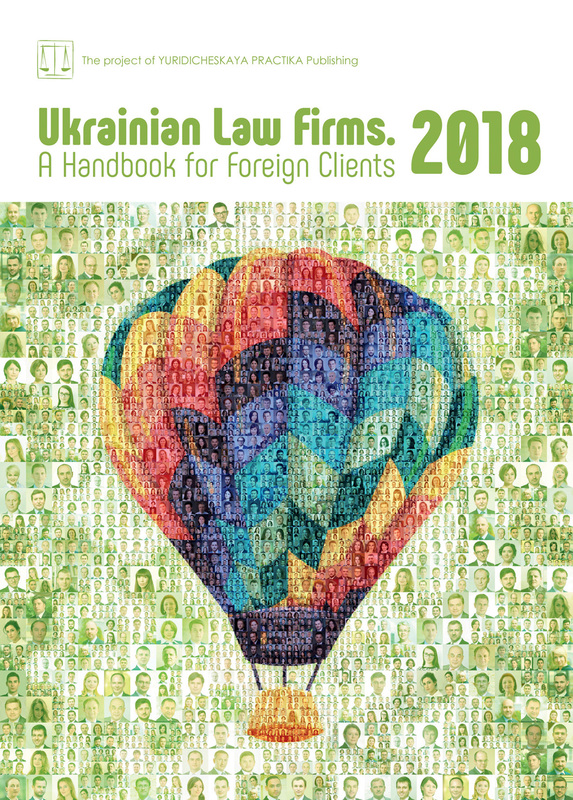 TOP-50 Ukrainian Leading Law Firms and Market Leaders. The Law On Financial Restructuring No. 1414 of 14 June 2016 (hereinafter — the Law) is a vital document in the context of introducing the culture of restructuring in Ukraine, a transparent, extrajudicial procedure of restructuring the business debt mechanism, which, due to macroeconomic factors and other objective circumstances in Ukraine, appeared during a critical financial situation. Despite this, Ukrainian business remains promising and attracts new investment. According to the last known figures, the amount of Non-Performing Loans in Ukraine is 56.6% among all loans distributed by Ukrainian banks. In monetary terms this figure is USD 21 billion. These numbers are very impressive and the largest index in Europe. For example, in Austria this rate is 5%, in Italy 15% and 2% in the UK. It would be better if the Law had been adopted much earlier, in 2014, when the war, the disruption of trading relations and the crazy devaluation of the hryvnyia led to a boom in defaults among the largest industrial companies. Unfortunately, having no other more convenient instrument to settle debts owed to banks, business massively went into bankruptcy. According to the Law, the presence of bankruptcy makes it impossible to launch the financial restructuring procedure. Thus, the largest banking borrowers lost the opportunity to enforce the Law. But the Law successfully meets its originally intended demands. Banking institutions and businesses are interested in the benefits of it. Recently, as expected, there was more significant market interest in procedure and a rapid growth in cases. As of the end of 2017, nine huge borrowers had effectively completed financial restructuring to the total sum of over USD 300 million. The biggest debt that was restructured is about USD 100 million. The term of the Law is three years from the date of it coming into force. Such a term allows assessment of the usefulness of the financial restructuring process in Ukraine and the compare the results with the experience of other countries. In case of receipt of positive results, the term of this Law may be extended. Firstly, as the Law is aimed at settling debts to banks, so the banking institutions should give consent to the procedure for financial restructuring and negotiate with borrowers. One of the most significant advantages for the banking sector provided by the Law is the lifting of sanctions for violating many of the NBU’s standards. Due to benefits, banks have the opportunity to negotiate for any lengthy installments of loan repayment, set the interest rate below the cost of credit and even 0%, not think about the credit risk standard. Banks can forgive any amount of debt without looking at the short-term liquidity ratio. Banks are also given the possibility of converting all foreign currency debt into hryvnyias, without violating the limits of the currency position. In addition, the Law allows not to take into account the investment standard and, therefore, banks can freely negotiate the forgiveness of a part of the debt in exchange for a stake in the borrower’s authorized capital, thereby effectively acquiring control over it. The Law provides absolutely similar benefits to state-owned banks and the state-run Deposit Guarantee Fund, which represents on behalf of banks via temporary administration. An additional advantage for banking institutions are all sorts of tax incentives (for example, VAT exemption and installment of income tax), as well as amendments to current legislation on guarantee, pledge and mortgage, which enable banks not to be afraid of terminating any of this collateral during the procedure. For non-bank financial institutions, the advantages are not so obvious, since such institutions are not bound by strict NBU controls. However, the first financial restructuring procedure under the Law in Ukraine was perfomed by a financial company which received tax benefits in exchange for a successful installment of debt of a defaulted borrower. The difficult task of prosperous implementation of the Law is cooperation with the fiscal authorities. The Law provides a number of tax incentives, as well as obligatory involvement in the procedure of the State Fiscal Service without their consent if the tax debt is less than one third of the borrower’s total debt. Nevertheless, the State Fiscal Service, as usual, involves the lever of pressure so as not to lose the possibility of the state budget being replenished and interprets many provisions of the Law exclusively for its own benefit. Such attitude reduces the advantages or absolutely neutralizes them for borrowers and creditors. Certainly, the most important reason for inadequate demand for the Law, as mentioned above, is its late implementation. Other factors also play a role. At numerous familiarization events which are held in Ukraine on the basis of the Secretariat for Financial Restructuring, the Independent Association of Banks of Ukraine, the EBRD, banks declared that many borrowers simply do not know about the opportunities provided by the Law. Also, often state-owned banks have could not agree and negotiate the terms of restructuring due to the non-functioning or poor of functioning supervisory boards. A well-organised communication process between the company and the creditor body is essential in all business procedures. The timeframes are regulated and very limited (up to 180 days for the procedure and signing of the restructuring plan), and the Law established defined actions preceding the approval of the restructuring plan, it is expedient to make the maximum number of preparatory measures in such limited timeframes. Therefore, before giving consent for restructuring by a bank and, accordingly, initiating a procedure under the requirements of the Law to maximize work with the borrower. For example: to collect the full package of documentation required for analysis by an independent expert of the borrower’s financial and economic activity, including an auditor’s conclusion; agree with the borrower the candidacy of an independent expert; elaborate various possible debt scenarios; provide documents for analysis by an independent expert in the procedure. Experience shows that, preparatory actions take from three to nine months, and to start them in the initiated procedure, unfortunately, is not an option as the timeframe is limited. When it comes to negotiating the details of the restructuring plan, there are no hard and fast rules. The deal, if it is to work, will have to reconcile several reasons. The company will need a realistic period to turn around its business and address its financial weaknesses. What is realistic will depend on the depth of the problems and the steps needed to resolve them. Financial projections, cashflows and valuations will be vital information that needs to be taken into account to enable creditors to find out if the company needs new money to survive. Creditors will also want to know that the deal will leave them with a better result compared to alternatives. In particular, they will want a view about their estimated recovery in a bankruptcy procedure. In the presence of an arbitration clause or agreement, the creditors have the right to submit to arbitration any dispute that arises during the financial restructuring procedure. Such an approach to the dispute resolution procedure during financial restructuring is rather courageous as it changes the imagination of international arbitration as a way of alternative dispute resolution. Arbitration is one of the most innovative institutions in Ukrainian legislation. The main role of the Arbitration Committee is to appoint a sole arbitrator in case any dispute arises in the procedure. The Arbitration Committee also considers the Notice of Arbitration and other documents on the arbitration’s initiation and decides about the applicability of Arbitration Rules. To date, all financial restructuring procedures have been held without any disputes. This is evidence that the Law acts in the due way and there are no sides whose rights were breached. The Law stipulates that in case of non-fulfillment of the arbitration committee’s decisions, creditors have the right to complete the procedure. In this manner, these provisions motivate the borrower in some way to execute the arbitral decision. Such an approach to the dispute resolution procedure during financial restructuring is rather courageous as it changes the imagination of international arbitration as a method of alternative dispute resolution. Taking into account the “deferred demand” for the Law — many companies, especially large holdings with a complex corporate structure, are only now beginning to understand the pros and cons of the Law, and having accumulated debts have a desire to regulate it. Already elaborated changes to the legislation of Ukraine will be introduced in the near future, enabling some ambiguities of the Law regarding tax regulation to be eliminated. As Ukraine continues to attract foreign investment, those investing in the Ukrainian market will expect a system which supports dealings with a defaulting customer. Heightened interest in financial restructuring is being observed in 2018. Many companies regard the Law to be a useful tool for resolving their temporary problems with debt repayment, and financial institutions will continue to recognise the benefit that consensual restructuring provides.